On the 5th (Wed), contemplate the waterfront views at Lake McKenzie and then tour the pleasant surroundings at Seventy-Five Mile Beach. On your second day here, head outdoors with The Pinnacles and then explore the activities along Eli Creek. To see photos, reviews, and more tourist information, read our Fraser Island tour planner. Nashville, USA to Fraser Island is an approximately 28-hour flight. The time zone difference when traveling from Nashville to Fraser Island is 16 hours. In June, Fraser Island is slightly colder than Nashville - with highs of 73°F and lows of 54°F. Wrap up your sightseeing on the 6th (Thu) early enough to travel to Port Douglas. Get outdoors at Scuba & Snorkeling and Hartley's Crocodile Adventures. Spend the 8th (Sat) spotting exotic species with a safari tour. There's much more to do: get to know the resident critters at Wildlife Habitat Port Douglas, view the masterpieces at Des Spencer Galleries, and stop by With Sugar. For ratings, where to stay, other places to visit, and other tourist information, go to the Port Douglas itinerary planner. You can do a combination of car, ferry, flight, and shuttle from Fraser Island to Port Douglas in 11.5 hours. Alternatively, you can do a combination of car, ferry, and train; or do a combination of car, ferry, and bus. Prepare for a bit warmer weather when traveling from Fraser Island in June: high temperatures in Port Douglas hover around 79°F and lows are around 65°F. Finish your sightseeing early on the 9th (Sun) to allow enough time to drive to Cairns. Get in touch with nature at Scuba & Snorkeling and Nature & Wildlife Tours. When in Cairns, make a side trip to see Palm Cove Beach in Palm Cove, approximately 32 minutes away. There's still lots to do: trek along Esplanade Boardwalk and brush up on your military savvy at The Australian Armour & Artillery Museum. To see maps, other places to visit, photos, and tourist information, read Cairns online trip itinerary builder . Traveling by car from Port Douglas to Cairns takes 1.5 hours. Alternatively, you can take a bus; or take a shuttle. In June, daily temperatures in Cairns can reach 79°F, while at night they dip to 66°F. Finish your sightseeing early on the 12th (Wed) so you can travel to Townsville. On the 13th (Thu), tour the pleasant surroundings at Castle Hill and then get interesting insight from Tours. To find ratings, where to stay, photos, and more tourist information, go to the Townsville tour itinerary planning website . Getting from Cairns to Townsville by flight takes about 3.5 hours. Other options: drive; or take a bus. Traveling from Cairns in June, plan for little chillier nights in Townsville, with lows around 60°F. Wrap up your sightseeing on the 13th (Thu) early enough to take a bus to Airlie Beach. On the 14th (Fri), see some colorful creatures with a scuba or snorkeling tour. Get ready for a full day of sightseeing on the 15th (Sat): take a memorable tour with Tours. For where to stay, more things to do, photos, and more tourist information, refer to the Airlie Beach itinerary maker tool . You can take a bus from Townsville to Airlie Beach in 4 hours. Other options are to drive; or do a combination of train and bus. Traveling from Townsville in June, expect nights in Airlie Beach to be about the same, around 65°F, while days are a bit cooler, around 72°F. 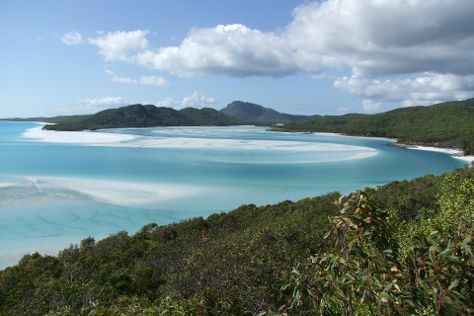 Finish your sightseeing early on the 15th (Sat) to allow enough time to take a bus to Whitsunday Island. Start off your visit on the 16th (Sun): contemplate the waterfront views at Hill Inlet and then kick back and relax at Whitehaven Beach. To find other places to visit, more things to do, reviews, and more tourist information, refer to the Whitsunday Island trip itinerary planner. Traveling by bus from Airlie Beach to Whitsunday Island takes an hour. Alternatively, you can ride a ferry. Traveling from Airlie Beach in June, you can expect nighttime temperatures to be little chillier in Whitsunday Island, with lows of 56°F. Finish your sightseeing early on the 16th (Sun) to allow enough time to travel to Brisbane. Start off your visit on the 17th (Mon): look for all kinds of wild species at Lone Pine Koala Sanctuary, then see the interesting displays at Queensland Museum & Sciencentre, and then take in the spiritual surroundings of Nepalese Pagoda. On your second day here, explore the world behind art at Queensland Art Gallery and then walk around South Bank Parklands. Plan my trip to Brisbane with suggested itineraries provided by Inspirock. Traveling by flight from Whitsunday Island to Brisbane takes 3.5 hours. Alternatively, you can do a combination of bus and flight; or take a train. Expect little chillier weather when traveling from Whitsunday Island in June: highs in Brisbane hover around 70°F, while lows dip to 53°F. Finish up your sightseeing early on the 18th (Tue) so you can go by car to Gold Coast. 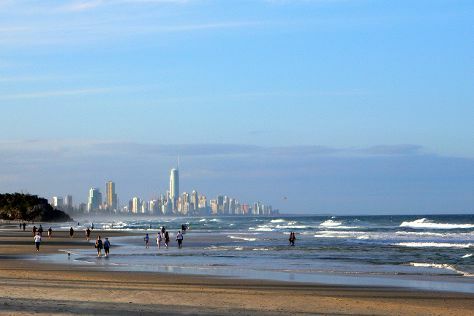 On the 19th (Wed), play a few rounds at Surfers Paradise Golf Club, then kick back and relax at Burleigh Heads Beach, then take in panoramic vistas at SkyPoint Observation Deck, and finally tour the pleasant surroundings at Surfers Paradise Beach. Get ready for a full day of sightseeing on the next day: identify plant and animal life at David Fleay Wildlife Park, kick back and relax at Coolangatta Beach, and then explore the striking landscape of Burleigh Head National Park. To see ratings, where to stay, photos, and other tourist information, use the Gold Coast tour itinerary planner. Traveling by car from Brisbane to Gold Coast takes an hour. Alternatively, you can take a bus; or take a train. In June in Gold Coast, expect temperatures between 69°F during the day and 53°F at night. Finish your sightseeing early on the 20th (Thu) so you can travel to Sydney. Get some cultural insight at Sydney Opera House and Australian National Maritime Museum. 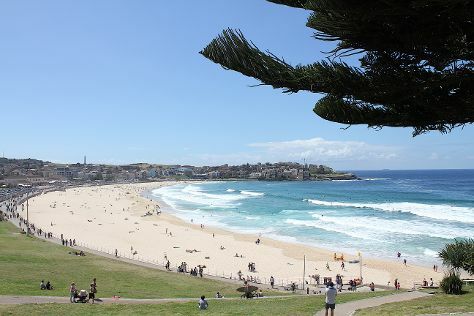 We've included these beaches for you: Bondi Beach and Manly Beach. Explore Sydney's surroundings by going to Norman Lindsay Gallery & Museum (in Faulconbridge) and Blue Mountains National Park (The National Pass & Lincoln's Rock). Spend the 26th (Wed) exploring nature at Sydney Harbour National Park. There's lots more to do: take a stroll through The Rocks, admire the natural beauty at Royal Botanic Garden Sydney, examine the collection at Hyde Park Barracks Museum, and take in the views from Sydney Harbour Bridge. For maps, reviews, photos, and more tourist information, go to the Sydney trip app . Traveling by flight from Gold Coast to Sydney takes 3.5 hours. Alternatively, you can do a combination of train and flight; or drive. In June, plan for daily highs up to 65°F, and evening lows to 50°F. Wrap up your sightseeing on the 26th (Wed) early enough to travel back home.